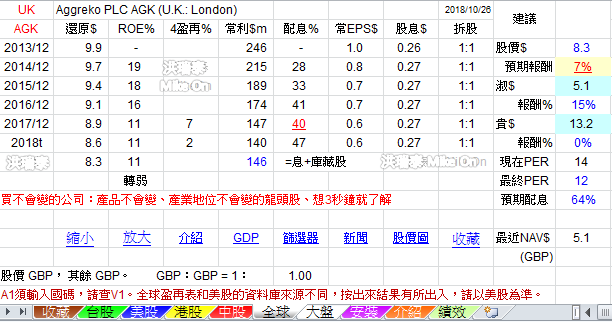 英股 - 傻瓜的5大退休股 - 舊討論區 - 巴菲特班 洪瑞泰 (Michael On) - Powered by Discuz! The FTSE SmallCap Index is an index of small market capitalisation companies consisting of the 351st to the 619th largest-listed companies on the London Stock Exchange main market. 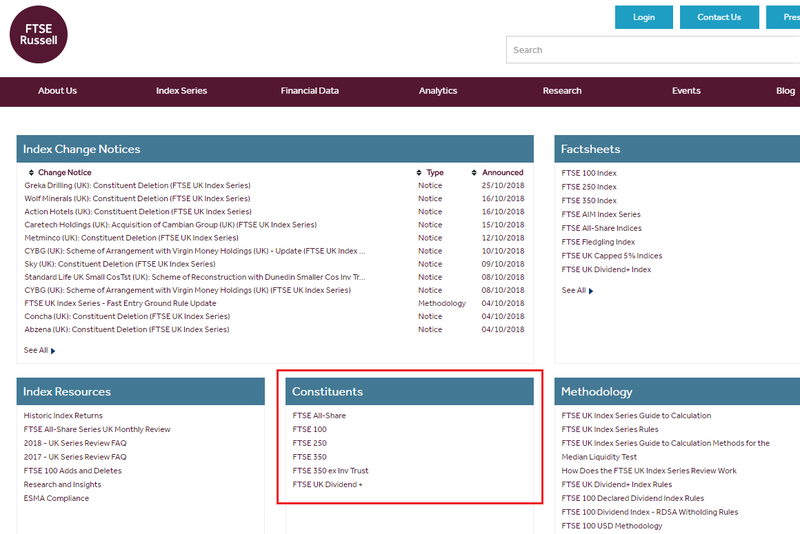 The index, which is maintained by FTSE Russell, a subsidiary of the London Stock Exchange Group, is a constituent of the FTSE All Share Index which is an index of all 620 companies listed on the main market of the LSE. 移至^ 英國和美國信託制度的確立過程. 中金在線. 2011-12-23 [2013-03-26]. （原始內容存檔於2013-01-22） （中文（中國大陸）‎）. 移至^ 中國信託業協會. 信託業從業人員培訓教材——信託基礎. 北京: 中國金融出版社. 2012. ISBN 978-7-5049-6660-5. 移至^ 信託公司現身86家公司「前十大」 持股市值達190億. 中國經濟網. [2014-05-31]. 3i Group plc is a multinational private equity and venture capital company based in London, United Kingdom. 3i is listed on the London Stock Exchange and is a constituent of the FTSE 100 Index. 3i Infrastructure plc is an investment business headquartered in Jersey. It is listed on the London Stock Exchange and is a constituent of the FTSE 250 Index. 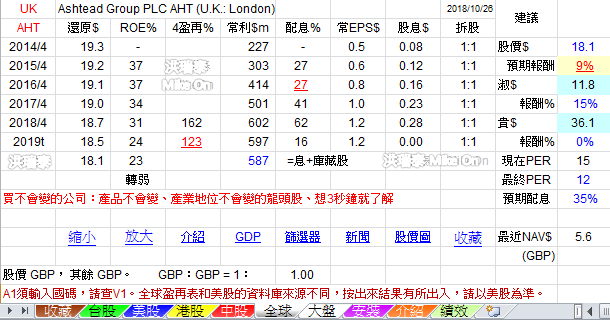 About 34% of the company is owned by 3i Group plc. AA plc (The AA, originally The Automobile Association) is a British motoring association founded in 1905, which currently provides car insurance, driving lessons, breakdown cover, loans, motoring advice, road maps and other services. The association demutualised in 1999, to become a private limited company, and in 2002, the AA Motoring Trust was created to continue its public interest and road safety activities. Acacia Mining (formerly African Barrick Gold plc) is a gold mining business operating in Tanzania, with exploration properties in Kenya, Burkina Faso and Mali. It is listed on the London Stock Exchange and the Dar es Salaam Stock Exchange. Acacia's majority shareholder is Barrick Gold, which owns 63.9% of the company. Aggreko plc is a supplier of temporary power generation equipment and of temperature control equipment. It is headquartered in Glasgow, Scotland, United Kingdom. It is listed on the London Stock Exchange and is a constituent of the FTSE 250 Index. 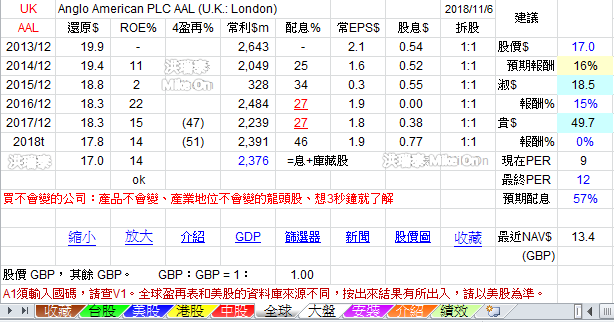 Alliance Trust PLC is a publicly traded investment and financial services company, established in 1888 and headquartered in Dundee, Scotland. It is listed on the London Stock Exchange and is a constituent of the FTSE 250 Index. It is one of the largest investment trusts in the UK. Anglo American plc is a multinational mining company based in Johannesburg, South Africa and London, United Kingdom. It is the world's largest producer of platinum, with around 40% of world output, as well as being a major producer of diamonds, copper, nickel, iron ore and metallurgical and thermal coal. The company has operations in Africa, Asia, Australasia, Europe, North America and South America. Anglo American has a primary listing on the London Stock Exchange and is a constituent of the FTSE 100 Index. The company has a secondary listing on the Johannesburg Stock Exchange. 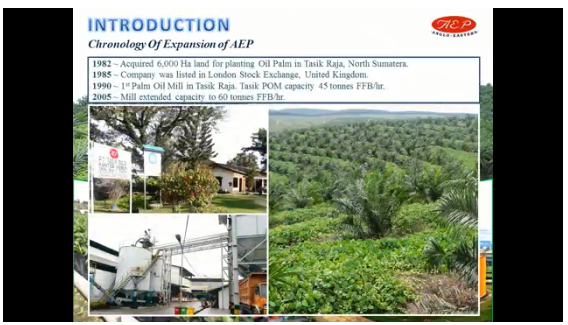 Anglo-Eastern Plantations Plc was formed and floated on the London Stock Exchange in 1985 to acquire and develop four estates in North Sumatra, previously owned by several UK based plantation companies. The largest of these estates was Tasik, whose development, as a 6,000 hectare (ha) oil palm estate, commenced in 1983. The other three smaller estates, totalling 3,700ha comprising rubber and cocoa, had been established in the 1920s. Funds raised from the flotation were used to complete the development of Tasik, where a 45mt/hr palm oil mill was commissioned in 1991, later upgraded to 60mt/hr in 2005.
acquisition in 1995 of an immature oil palm estate in Peninsular Malaysia. In Bengkulu a 40mt/hr mill was commissioned in 2002 and upgraded to 60mt/hr in 2004. In June 2007, 15,004 ha had been planted. In March 2004 the company acquired a neglected oil palm estate of 4,300 ha, called Bina Pitri located in the province of Riau, about 180km south of Tasik. Consideration was $10m. Rights to a further 900ha of land were acquired in 2004 and planted in 2005 bringing the planted area of this property to 4,940 ha. The formerly neglected areas have been rehabilitated. A 30mt/hr mill (expandable to 60mt/hr) was completed in April 2007. In December 2004 a 20mt/hr mill was commissioned on Blankahan estate, one of the three smaller estates originally acquired in 1985; this mill processes crop from those estates, which were substantially converted to oil palm in 1992/3. All remaining cocoa was removed in 2007. A small area of rubber has been retained. In December 2004 the company acquired the rights over 4,200ha of vacant land, called Labuhan Bilik, about 130km north of Tasik, at a cost of $0.4m, and has added 1,336 ha since then. In June 2007 1,629 ha had been planted and the area was fully planted in year 2009. In June 2007 the company acquired another neglected oil palm estate of 4,470 ha, Cahaya Pelita Andhika, of which about 1,020 ha were planted and mature. The estate is located on the west coast of North Sumatra, about 180km from the nearest existing group estate, Tasik. The planted areas were rehabilitated and the unplanted areas were planted over five years after acquisition. Until a mill is built, crops are processed at Tasik. In December 2007 the group acquired two blocks of lands rights. The first comprises 26,000 ha in the province of Central Kalimantan and the second consists of 7,000 ha in Bangka Island. In January 2008 a further 15,000 ha was acquired in Bengkulu, near to the group's existing estates. All three areas are scrub and previously logged secondary forest. It is estimated that of the total land area, 20,000 ha is plantable. Planting are done progressively starting in 2009. In 2008, the group acquired a 95% equity interest in PT Riau Agrindo Agung (RAA), an Indonesian company owning the rights to 15,000 ha of vacant land in Bengkulu, and a 95% equity interest in PT Empat Lawang Agro Perkasa (ELAP) and PT Karya Kencana Sentosa Tiga (KKST); two Indonesian companies which hold the rights to 14,100 ha and 16,000 ha respectively in South Sumatra. The total addition of 45,100 ha brings the group's total landholding to 132,000 ha from 86,900 ha in the previous year. These new properties all have "rights to occupy" (Izin Lokasi) which will be converted to a formal title of rights (Hak Guna Usaha (HGU)). In 2009, we succeeded in getting the crucial land conversion permit from the Indonesian Forestry Department in Central Kalimantan project. In 2010, we planted 7,580 hectares of oil palm mainly in Kalimantan, boosting our planted area by 16% to 52,000 hectares. In the same year, we acquired PT Kahayan with the initial "Izin Lokasi" area of 17,500 hectares. The new Sumindo mill (45 MT/hour) was commissioned in May 2010. Construction work to increase Blankahan mill processing capacity from 25 MT/hour to 40 MT/hour was started in December 2010 and completed in 2011 at a cost of $1.5 million. 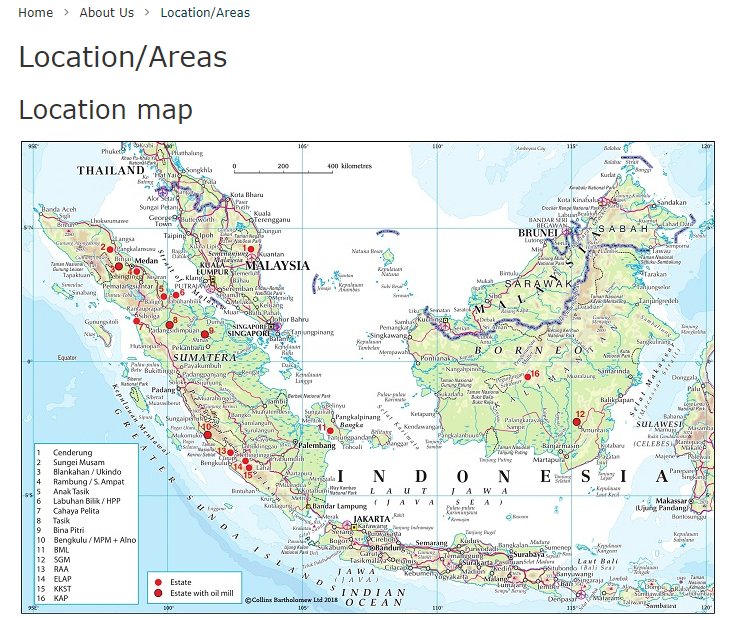 In 2011, we planted 4,800 hectares of oil palm mainly in Kalimantan, boosting our planted area by 9% to 57,100 hectares. New plantings remained behind planned schedule due to adverse dry weather conditions in South Sumatra and Central Kalimantan, alongside with certain hold-up in issuing of necessary permits due to the introduced timber cutting licenses ("IPK"). The Group's had invested $4.5million in the biogas and biomass project for one of the mills in North Sumatera of which civil works for the plant commenced in the fourth quarter of 2012 and the whole project was completed in 2014. This project enhances the waste management treatment of the mill and at the same time mitigates emissions of biogas. The successful implementation and running of this project will pave the way for further similar undertakings for the rest of the Group's mills.In 2012, the Group planted 1,900ha of oil palm mainly in Kalimantan, boosting planted area by 3% to 59,000ha. New plantings remained behind schedule due to protracted negotiations over settlement of land compensation with villagers and a delay in the issuance of land release permit (Izin Pelepasan) for two plantations. However, one of these plantations has obtained the necessary permit and clearing of land for planting are carried out progressively. Permits for the construction of palm oil mills in North Sumatera and Central Kalimantan were held up by local authorities in 2012. The earthworks for the Central Kalimantan mill was commenced in fourth quarter of 2012 but was disrupted by heavy rainfall in the second quarter of 2013. The mill construction was finally completed in the second quarter of 2015. It began commercial operation in the third quarter with an initial capacity to process FFB at a rate of 45mt/hr. In 2015, the Group opened up new land and planted 1,826ha of oil palm mainly in Kalimantan, boosting planted area including Plasma by 3% to 65,100ha (2014: 63,500ha). This excludes the replanting of 1,423ha of oil palm in North Sumatera. Another 166ha of ageing rubber trees were replanted with oil palm. In 2016, the Group has completed 1,606ha of new planting of oil palm mainly in Kalimantan, boasting planted area including Plasma by 2.4% to 66,670ha in addition to the replanting of 1,516ha of oil palm in North Sumatera. Besides, two more biogas plants in Bengkulu and Kalimantan are in the final stages of construction and are estimated to cost a total of $6.8 million. Biogas engines have been installed with the ancillary works covering gas piping and electrical works still in progress. The testing and commissioning should be completed soon and the biogas plants are expected to be operational from the second quarter of 2017. The plants when completed are expected to generate a combined 3 Megawatt of electrical power. A surplus of 15.6 million kWh of electricity worth $1.2 million is projected to be generated per year which the Group intends to sell to the state electricity company. The use of clean energy in the mills will further reduce their reliance on fossil fuels and improve the Group's carbon foot print. Negotiations to sell the surplus power estimated in excess of 5 million kWh per year to the Indonesian National Electricity Company from its new biogas plant in North Sumatera has been approved by the local authority in January 2017 after the completion of a feasibility study and all the required permits. In 2017, the Group opened up new land and planted 1,808ha of oil palm mainly in Kalimantan, boasting planted area including smallholder cooperative scheme, known as Plasma, by 2.5% to 68,310ha (2016: 66,670ha). This excludes the replanting of 1,694ha of oil palm in North Sumatera. New plantings remain behind schedule due to delays in finalising settlement of land compensation with villagers in South Sumatera, Bangka and Kalimantan. The villagers seek compensation beyond what the Group considered fair and reasonable resulting in protracted negotiations. The 2 megawatt biogas plants in Bengkulu are supplying electricity to the State Electricity Company. In the eight months of operation, it generated 4,807MWh of electricity worth $0.3 million. The sale of electricity is, however, frequently interrupted by power blackout in the state electricity supply caused by faulty transmission lines and unstable power voltage. The situation is likely to improve in the second half of 2018 after upgrade and repairs of transmission lines are completed. The third biogas plant in Kalimantan has been completed and is ready for commissioning. The three biogas plants will further reduce the mills’ reliance on fossil fuels and improve the Group’s carbon footprint. With the current shortage of power supply in North Sumatera, the Group is conducting a feasibility study to build its fourth biogas plant in Rantau Prabat which is expected to cost up to $3.8 million. The state electricity company has reacted positively to the proposal to build a biogas plant in North Sumatera. The Group will start construction of its seventh mill in North Sumatera in 2018. The 60mt/hr mill is expected to cost $19 million and will be substantially funded by internal cash flows. Costs of civil and structural works including earthworks would be higher as the mill is built on shallow peat soil. The site needs to be compacted with mineral soil and 38 meters long concrete piles to support the construction of the mill and storage facilities. The Group has over the past three years explored various sites outside the plantation and along the Barumun river for the construction of a mill, however, it was not able to obtain the necessary permit which allows conversion of agricultural into industrial land. We are primarily a Chilean copper mining company. Our operations are centred on mining, be it operating mines, exploring or developing mines. We also have a transport division. All of our operations are in Chile, our four operating mines, our energy assets and our transportation interests. Ashtead is an international equipment rental company with national networks in the US and the UK and a small presence in Canada. We rent a full range of construction and industrial equipment across a wide variety of applications to a diverse customer base. Our equipment can be used to lift, power, generate, move, dig, compact, drill, support, scrub, pump, direct, heat and ventilate - whatever is required. Our objective is to deliver sustainable value and above average performance across the economic cycle, thereby extending our industry-leading position and delivering superior total returns for shareholders. Ashtead Group plc is a British industrial equipment rental company formerly based in Leatherhead, Surrey, but which has since moved to new offices in the City of London. 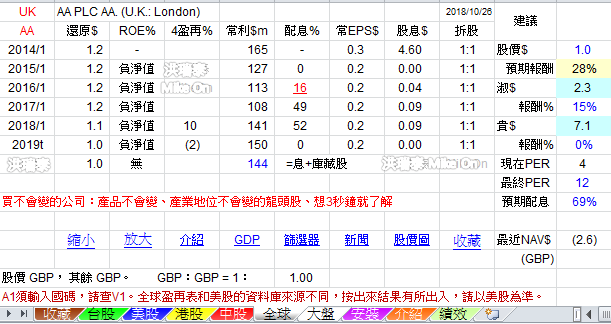 It is listed on the London Stock Exchange, and is a constituent of the FTSE 100 Index. Associated British Foods plc (ABF) is a British multinational food processing and retailing company whose headquarters are in London. Its ingredients division is the world's second-largest producer of both sugar and baker's yeast and a major producer of other ingredients including emulsifiers, enzymes and lactose. Its grocery division is a major manufacturer of both branded and private label grocery products and includes the brands Mazola, Ovaltine, Ryvita, Jordans and Twinings. 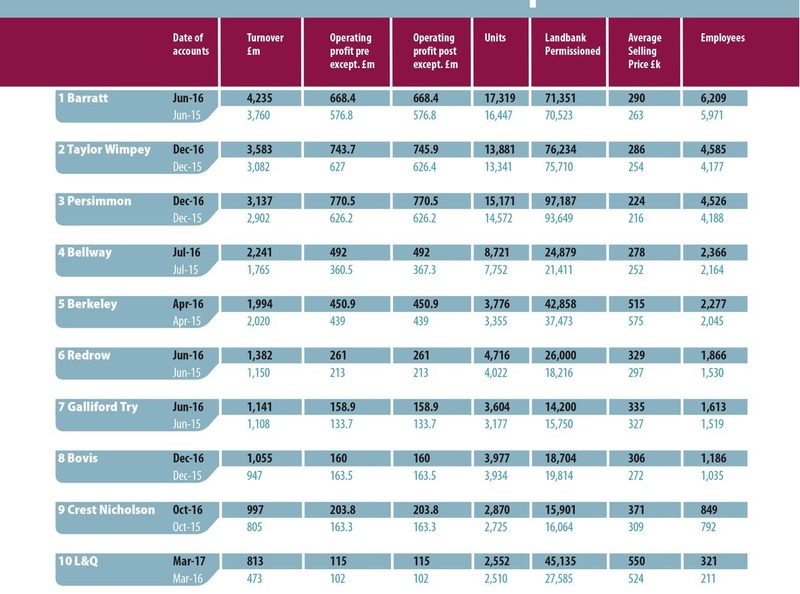 Its retail division, Primark, has around 345 stores with over 13,900,000 sq ft (1,290,000 m2) of selling space across Austria, Belgium, France, Germany, Italy, Ireland, the Netherlands, Portugal, Spain, the UK, and the United States. Associated British Foods is listed on the London Stock Exchange and is a constituent of the FTSE 100 Index. AstraZeneca plc is an Anglo–Swedish multinational pharmaceutical and biopharmaceutical company. In 2013, it moved its headquarters to Cambridge, UK, and concentrated its R&D in three sites: Cambridge; Gaithersburg, Maryland, USA (location of MedImmune) for work on biopharmaceuticals; and Mölndal (near Gothenburg) in Sweden, for research on traditional chemical drugs. AstraZeneca has a portfolio of products for major disease areas including cancer, cardiovascular, gastrointestinal, infection, neuroscience, respiratory and inflammation. The company was founded in 1999 through the merger of the Swedish Astra AB and the English Zeneca Group (itself formed by the demerger of the pharmaceutical operations of Imperial Chemical Industries in 1993). Since the merger it has been among the world's largest pharmaceutical companies and has made numerous corporate acquisitions, including Cambridge Antibody Technology (in 2006), MedImmune (in 2007), Spirogen (in 2013) and Definiens (by MedImmune in 2014). AstraZeneca has a primary listing on the London Stock Exchange and is a constituent of the FTSE 100 Index. It has secondary listings on the New York Stock Exchange and the OMX exchange.